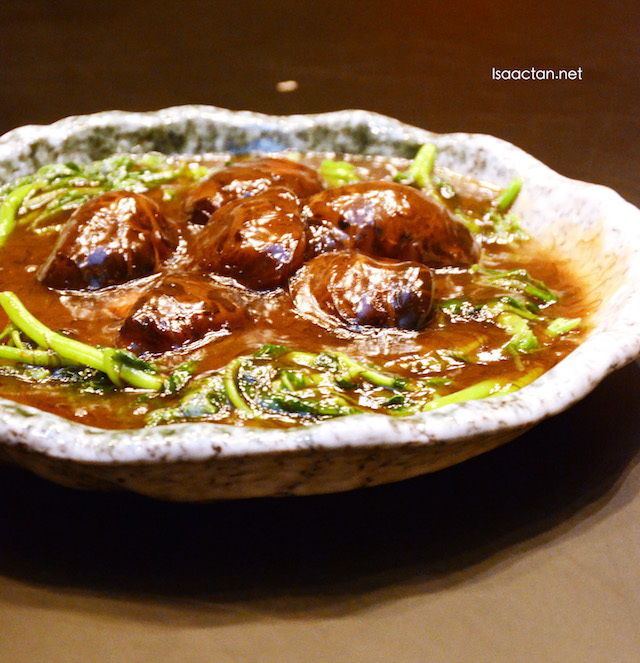 Now I've always been a fan of WAY Modern Chinois, a unique, classy avant-garde modern cuisine restaurant specializing in contemporary Chinese / Asian cuisine. Their offerings often border on the creative side, so it was with great anticipation when I was invited to sample their Chinese New Year dishes. Check out what we had below. A labour of love in many ways, Way Modern Chinois is the brainchild of avid foodies, boutique property developer, Datin Dian Lee and her husband, Asian private equity investor, Datuk Jared Lim. In Mandarin, Way means "unique" or "one and only" which also happens to be the name of their first born son. 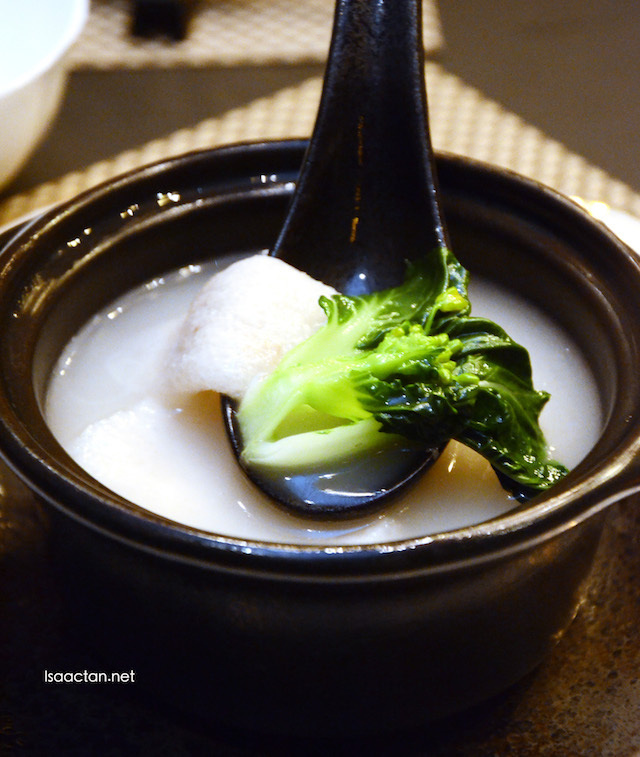 The decadent menu is a combination of delicious dim sum selections and heartier comfort food delights, served on specially imported fine bone china. Such a graceful approach to Chinese cuisine and discerning eye for detail are complemented by the restaurant’s sleek and contemporary interiors. The experience begins from the entrance, which is discreet and concealed, opening up to a mood-evoking space where presentation is as important as flavors. WAY Modern Chinois is opened on Chinese New Year eve (7 February), closed on 8 & 9 February, and re-opened on 10 February for dinner only (from 6 pm). 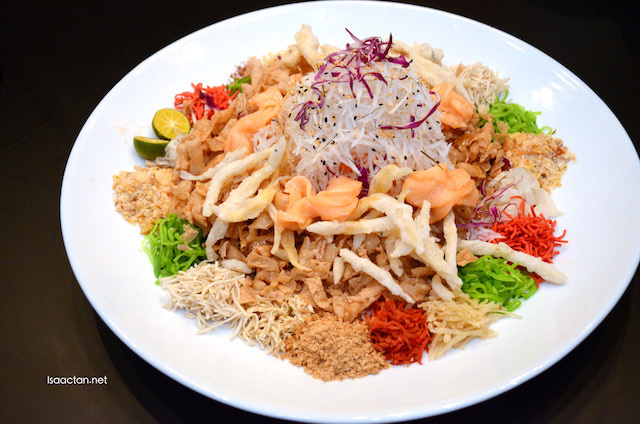 Serving the evergreen Salmon Yee Sang, it is priced at RM88++ (2-4 pax) and RM118++ (6-8 pax). The classic Salmon Yee Sang can be further enhanced with the addition of crispy silver bait (RM28++), succulent sweet prawn (RM38++) or additional fresh sashimi-grade salmon (RM38++). 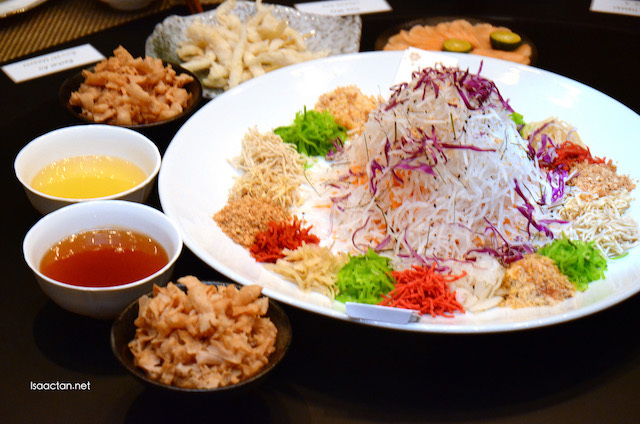 What's even more awesome is the fact that they will be treating guests to a complimentary Salmon Yee Sang on the eve of Chinese New Year (7th February) as a celebratory gesture on this auspicious occasion. Catering to group bookings, which are prevalent this time of year, Way Modern Chinois has created 3 enticing set menus that already include a set of Salmon & White Bait Yee Sang. 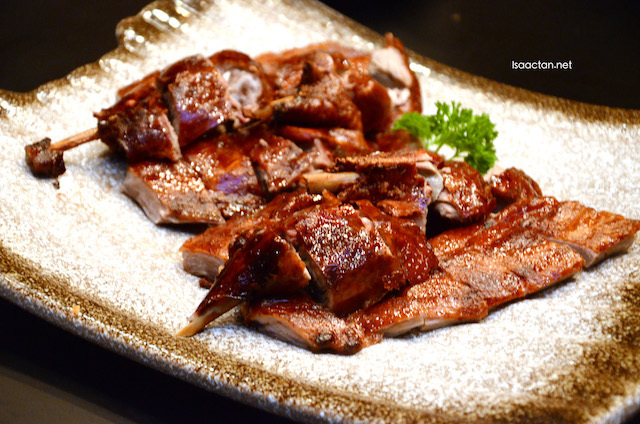 A special mention would definately be for WAY's Truffle Roasted Duck, where the truffle taste isn't exactly very strong, yet the whole dish itself exude classiness and the flavour itself was exquisite. Coupled with the sauce, it's a dish to remember. 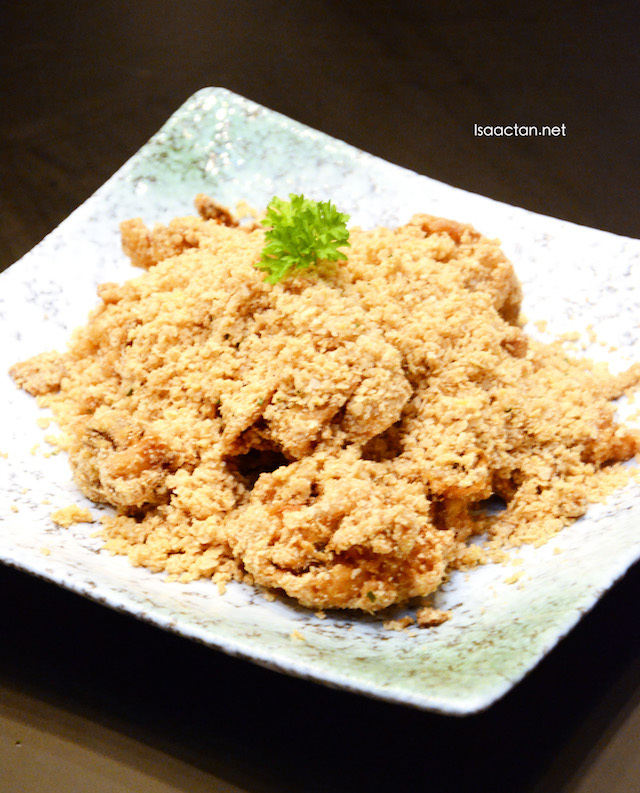 If you think that's not special enough, then the Soft Shell Crab with Oatmeal and Salted Egg Yolk will hit your sweet spot. So there you have it, Chinese New Year 2016 @ WAY Modern Chinois, Damansara Heights. Do make your bookings and drop by soon! This is so near to where I stay, I wanted to read some review about it and finally here it is, thanks for sharing! Their choices of food are pretty uncommon, I must say. I am drooling already just looking at your photos. 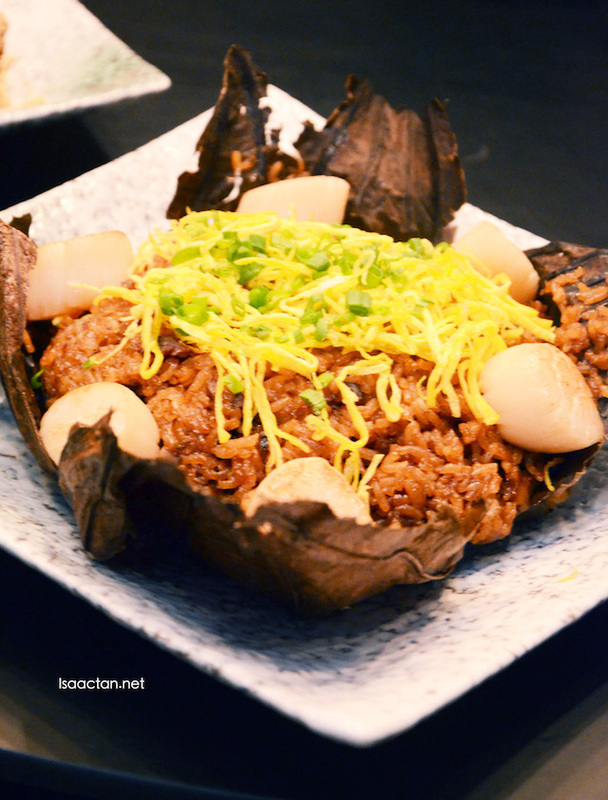 The CNY dishes look delicious! Especially truffle roasted duck. I personally enjoy truffle fragrance a lot and just wonder how will the aroma be when combined with roasted duck. Wow quite unique dishes except lou shang as I seldom see them outside! Thanks for the sharing ya! Wow. Super love the yee sang. Looks delish and colorful! the Elixir of Youth Soup looks so special....looks yummy!! why are we can only lou sang during chinese new year lerh? wow, nice, look so clean. So the Elixir is their best selling soup with such a name right? LOL. yum yum. although CNY is ending soon, but still feel like giving it a try! The price for Chinese New year food is reasonable for 4 pax. The food so tempting and delicious. Thanks you for sharing this. I had a terrible experience here. I went there last night with a group of 10 friends and had the worst service I have ever had. I normally do not give bad reviews but for a place with that type of pricing, they really should try to leave their customers with a better experience. My dinner spanned over 3 hours and it wasn't even fine dining. Other than that, they did have an amazing truffle duck. Name sound so unique "Elixir" and price looks very reasonable for a family of 4 pax. I think should try with friends sometime.